Ask the Devs « DDOcast – A DDO Podcast! This week Patrick Asks the Devs about U32, Cannith Crafting, Assault on the Slave Lords, Monks, Favored Souls, and more! Ask the Devs returns with a look at Update 29! We apologize for the rushed episode. We wanted to get this show out ahead of update 29! Turbine Devs Cordovan, Steelstar, Knockback, & Vargouille join Shamgar for some questions about game balance, monsters, upcoming updates (including gnomes, level 30 and loot), and even share some thoughts on how to become a game developer! DDO Players Poll: Are you enjoying Night Revels? This week we Ask the Devs about the upcoming Update 25 & Temple of Elemental Evil! Steelstar, Knockback, Severlin, No Worries & Cordovan give us a tour and answer some questions! Production Note: Due to some unfortunate video issues, most of the footage you will see is in fact myself wandering through the Temple of Elemental Evil, though I did make an effort to line up my own wanderings with most of the descriptions. Join Patrick and very special guests Cordovan, Glin, and Purplefooz for Ask the Devs as we interview the folks at Turbine about quest creation! Patrick is joined by Cordovan and very special guest Executive Director Rowan for a new Ask the Devs and the latest Update 21 news! Want to win some points? We are giving away 2 @ 500 point codes. Just leave a comment and let us know what you were most excited to hear about from this episode and we will pick 2 winners! 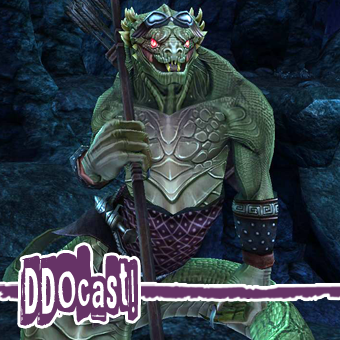 DDOCast 309 – Ask the Devs! Join Patrick as he interviews Producer Glin, Tolero, and Cordovan about changes (and more changes) to reincarnation, xp, dev life, content, gnomes, epic threnal and more! Then stick around for the second hour and the usual (slightly larger amount of) news! While you are here on our website, check out our calendar, swag, archives and more! This week Sig, Anne & Geoff (http://www.ddogamer.com/ talk about DDO Game news, Pax East 2013 latest games, playing Neverwinter, DDO Player councils with DDOGamer, and more! We also have a specialy from our on the scene and drunken-fu interview master, Steiner-Davion. Many thanks to Steiner-Davion and also to Tolero, ProducerGlin and all of the DDO team! Pale Masters Want Dannato Back!